In the news section we publish short reports about our activities, current events from the project and latest news from Haiti. More extensive texts, our own or borrowed, can be read in the section Articles. The latest contributions are also displayed on the home page of our website. 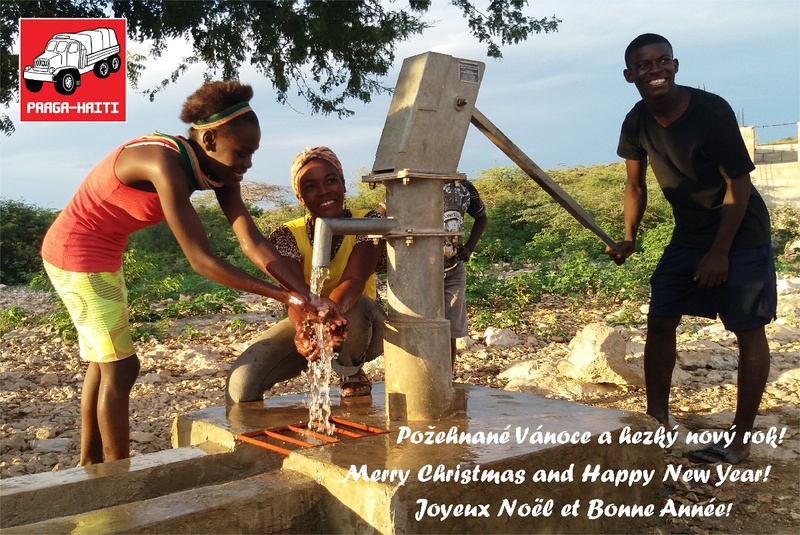 Praha/Port-au-Prince - The wells which the czech development organization Praga-Haiti looks after are fully functional and fine. The Hurricanes have not damaged them too much, reports the four-man team of technicians. Their six-week mission was to systematically focus on inspecting and servicing all the water sources and also to initiate other projects involving the usage of water waste, cultivation of the closest ground around the wells e.t. The mission has ended this weekend. Frank Boya is a new member of the mission heading to the Haiti. He was born in Haiti, speaks French fluently and also knows the situation in Haiti very well - the mentality of local people, their problems and concerns. We asked Frank a few questions. Another service mission heading to Haiti! At 7th of October, another service mission will start in Haiti. The mission will take six week. The team will be - manager of the Praga-Haiti project and technician Ivo Roškanin, technician Frank Boya, architect Petr Vacek and mechanic and locksmith Pavel Langr. We have purchased a new diesel generator for our drilling rig in Haiti. The Hatz 1D81S dieselagregat is a high-quality and durableengine with manual startup (no electric lead, battery and starter). Websites Praga-Haiti have been completed. Welcome. We're reviewing the features of the site.